A number of online electronic archives have been developed in recent years to allow fellow scholars access to recent works by other colleagues in a wide variety of fields. 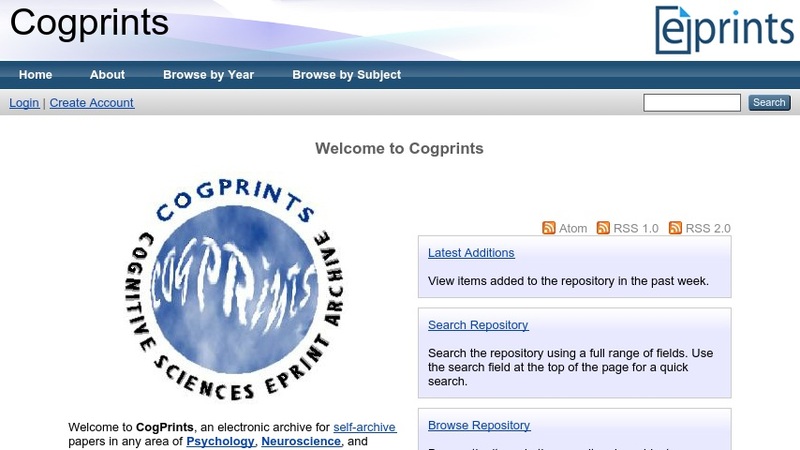 Cogprints is one such archive, as it functions as a place where persons working in the areas of psychology, neuroscience, linguistics, computer science, philosophy, and biology may place their work. First-time visitors may want to begin by browsing the archive either by year or by subject. After getting a sense of the contents of the archive, visitors can then perform simple or advanced searches in order to find specific materials. For those scholars who wish to contribute materials, there is also a place where they may register for an account.